How Do I Register a Custom Domain? How Do I Connect a Custom Domain Name to My uKit Website? 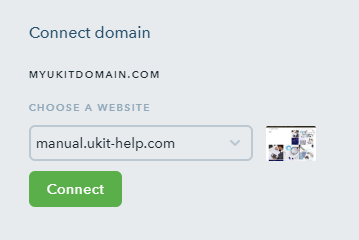 How Many Domains Can Be Connected to My uKit Website? What Are the uKit Name Servers to Be Specified at the Domain Provider's End? How Do I Manage My Domain Records? How Do I Set Up a Domain-Based Email Address? 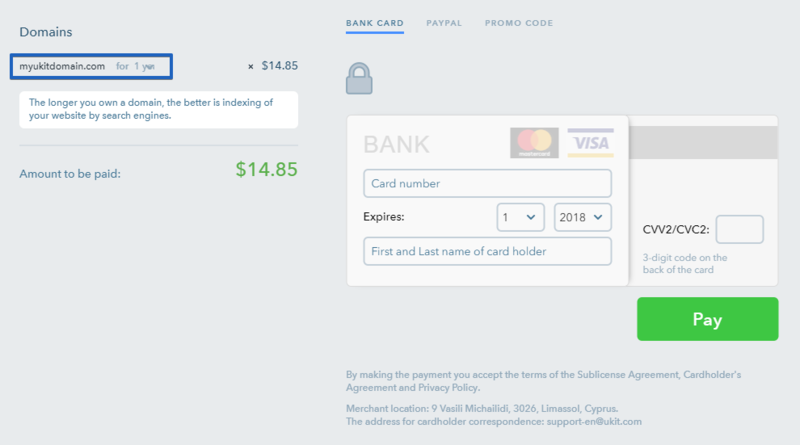 How Do I Renew My Custom Domain? How Do I Use Gmail with My Custom Domain? How Do I Set Up a Domain-Based Email Address with Yandex? How Do I Change a Technical Domain Name? How Do I Create and Connect a Subdomain? What is SSL and HTTPS? How Do I Enable an SSL Certificate and HTTPS for My Website? 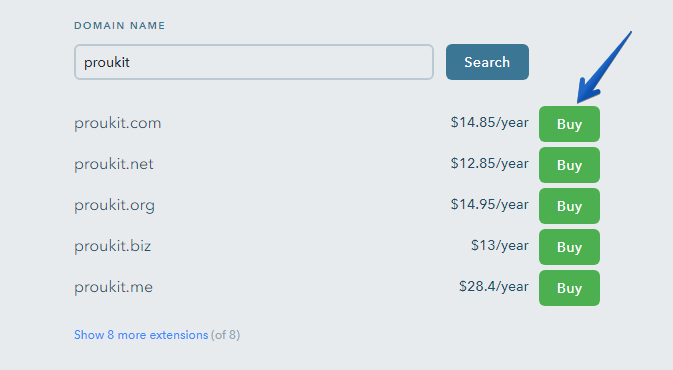 Enter a desired domain name to the search box, the system will offer a few variants with different domain extensions. Choose a domain name and click on Buy. Make sure the selected domain name is correct. 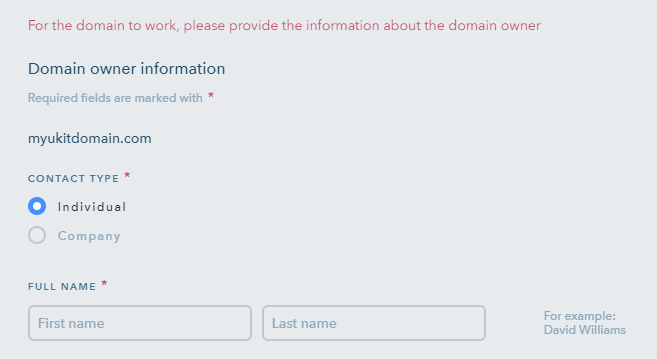 It’s impossible to change a domain name after finishing the domain registration.